A fat Pug is likely to have health problems. This breed often has trouble breathing, even at a healthy weight, so the extra pounds are going to add up to some serious issues. 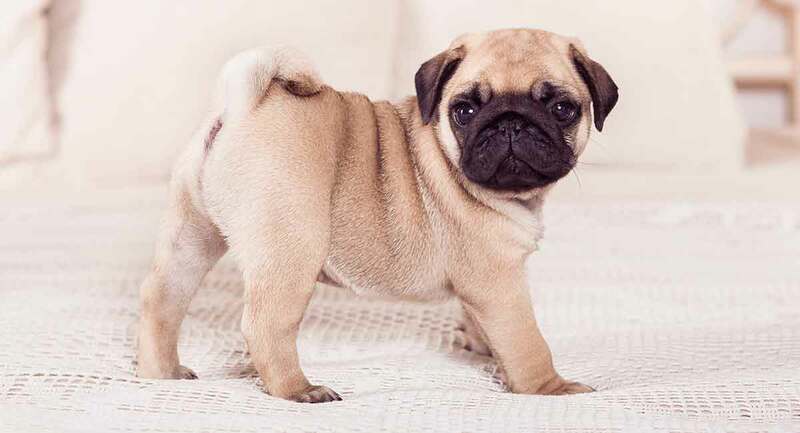 Despite their barrel ribs, Pugs should be slim with a visible tuck at the waist. Just like for us humans, bad habits and over eating cause Pugs to gain weight. But carrying a few extra ounces or pounds can have health implications for your pup too. Let’s find out what the healthy weight for a Pug is, and how to help a Pug who’s overweight. Pugs typically weigh around 14 to 18 pounds. Of course, some Pugs might weigh more or less than this and still be healthy. 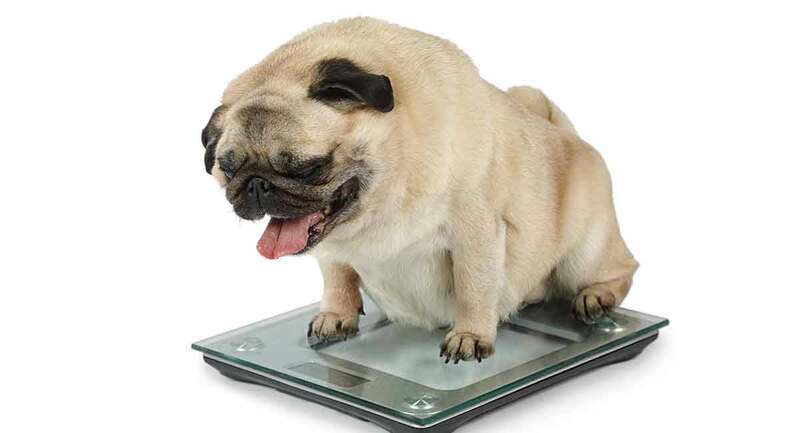 Instead of relying on the scale alone, we recommend looking at your Pug’s body for signs of obesity. There are two easy ways to check dogs’ weight at home. You should easily be able to feel your Pug’s ribs under their skin. There should only be a very thin layer of fat present, much like the back of your hand. If it is difficult to feel their ribs, it is possible that they are overweight. On the other hand, you should not be able to see your dog’s ribs when they are in a normal standing position. This is a sign that your dog is underweight, which can cause all sorts of problems as well. Just like a human, your dog should have a waist around her stomach area between her ribs and hips. The easiest way to check a dog’s waist is to look at her from the top down. Pug waistlines are not as pronounced as other breeds. But Pugs should still have small indents on their waists. If you Pug is more rounded, it is possible that they are overweight. Pugs‘ large eyes, shortened snouts and curly tails make these pooches easily recognizable. However, many of these unique characteristics also give Pugs a few health problems. 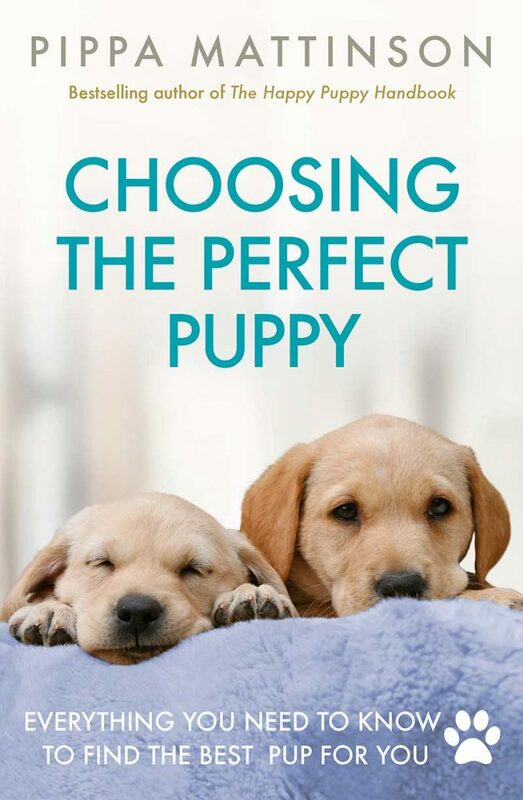 Their short snouts, for example, cause many of them to experience breathing problems. They are also known to experience spinal difficulties because of their screw tails. These conditions affect their ability to run, play, and generally be active. Do Pugs Get Fat Easily? Pugs are not known to be active dogs. Many would much rather lay around than do much activity. Their reluctance to exercise is actually because of their breathing problems. The Pug’s shortened snout makes it difficult for them to breathe and get the oxygen they need. Because of these difficulties, many Pugs tire quickly and can only handle short exercise sessions. Their owners often must restrict their playtime to prevent overheating or fainting. In hot weather, it might even be impossible for a Pug to exercise at all. Often, the risks are not worth it. This inability to exercise for extended periods can make the Pug gain weight quickly. It is essential that their food intake is restricted appropriately. On top of this, a healthy weight is essential for a Pug’s health. If a Pug becomes overweight, it is often even harder for them to breathe properly. This difficulty only makes them able to exercise less, which compounds their weight gain. In this case, prevention and proper veterinary care are the best medicines. But, if you do think your Pug is overweight, there is no reason to fret. If you have done these two tests and suspect your Pug might have some extra fat, it is essential to take them to the vet. This is to rule out any underlying health condition which might have caused weight gain. This step is particularly important if the weight gain was sudden. Your vet will also check your dog for subsequent health problems caused by carrying extra weight. Because Pugs have many structural problems, extra weight can have a severe impact on their health. It is vital that you get your Pug checked out by a vet before starting any exercise routine or changing the dog’s diet. 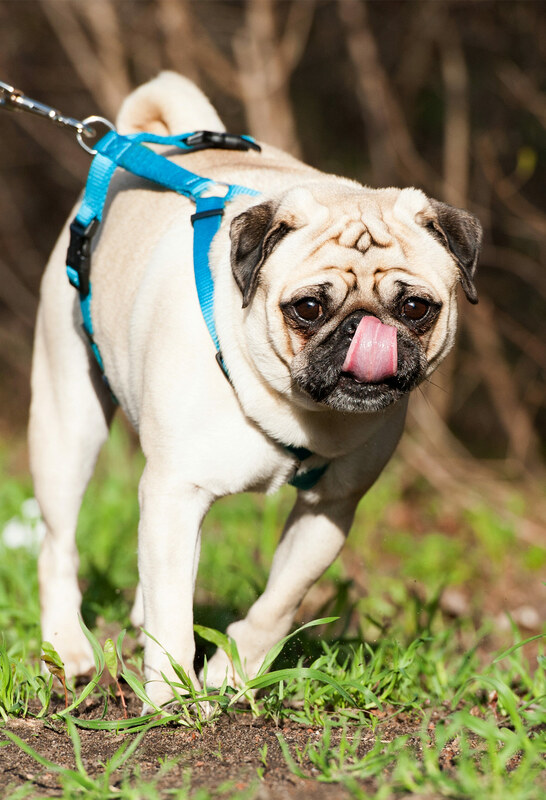 If your Pug is experiencing any underlying disorder, an increase in exercises can be detrimental. A fat Pug is not a healthy Pug. Sadly, the breed is very prone to health problems anyway. It’s important therefore to keep him as slim as possible. Unfortunately, having a few extra pounds will only make their problems worse. As you might guess, a fat Pug will get hotter even faster. And, combined with a Pug’s inability to cool herself properly, this can result in overheating very quickly. The extra weight will also put more strain on their back. This strain can worsen any existing spinal problems and cause arthritis. When you add in extra fat, a Pug’s skinfolds often become larger and more pronounced. This increases the risk for infections. Plus, it is also more difficult to notice an infection with so much extra fat hanging around. Dogs aren’t healthy when they’re obese. But a Pug is even more affected than your average canine. Obesity can have significant effects on health very quickly. If your Pug is overweight, it is essential to get her to shed those extra pounds quickly and safely. Luckily, helping your Pug lose weight is not complicated. Just like humans, for your Pug to lose weight, you must create a caloric deficit. In other words, they need to burn more calories than they lose. This deficit will cause the body to consume extra fat for energy. Over time, this will result in a skinnier, healthier Pug. This is done in two major ways: diet and exercise. If you feed your Pug treats regularly, your first step is to cut them out completely. While it might be difficult to deny your adorable Pug, treats have little nutritional value and can tack on many extra calories. Depending on how many treats you feed your Pug, this might be all you need to do. Some Pugs show improvement after treats are cut out. 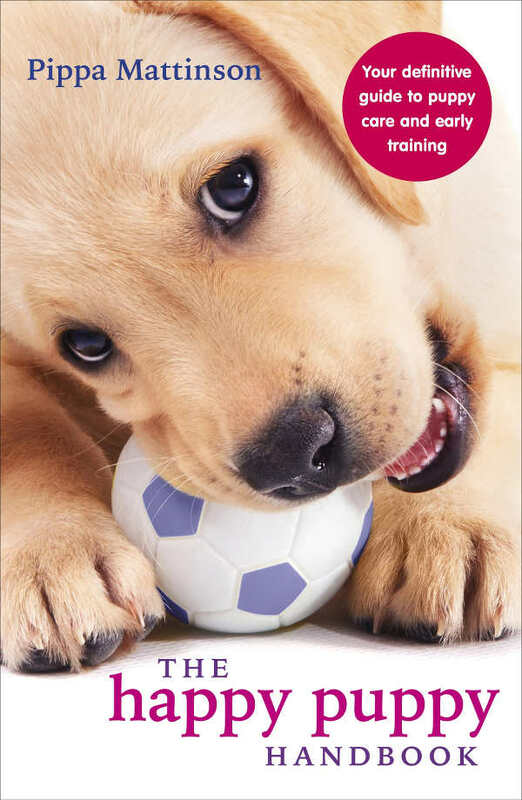 Next, you should switch out training treats for a healthier alternative. Switch out any processed, unhealthy training treats or regular meals for something healthier. Chicken is often a good alternative, as are carrots if you can get your pooch to eat them. Finally, begin cutting back on your dog’s regular meals. For the next four days, give your dog a third less than normal. At the end of that period take a look at whether they have lost weight. If they have, great, keep it up until they are back at a healthy size. If not, reduce by a third again for four days. Repeat until your pup is looking slim and trim. Then very gradually up the quantity slightly until their weight stabilizes. 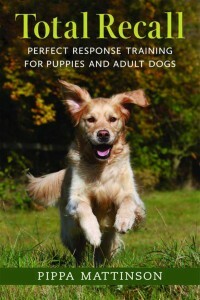 Exercise can also be useful to help your canine lose weight. However, due to a Pug’s difficulty exercising, it is often a better idea to focus on dietary change over exercise. If you do decide to exercise your Pug, keep sessions very short and watch for signs of exhaustion and overheating. Do not go running, walking is fine. Do not take your pup out on hot days, or in the humidity. Watch that they aren’t overheating. A sure sign of oxygen deprivation is if his tongue is curled up and around. Their panting tongue should lie flat. While your pup is on her diet, it’s important to make sure she doesn’t overheat or over exercise. Dogs with breathing problems will snort, snore and may even in their desperation try to sleep upright. This habit that is seen as cute by some is actually a sign of respiratory distress. If your Pug sleeps sitting upright, take her to the vet. She might need more help to lose weight more quickly, and potentially an operation to open her airways. By making these changes to your dog’s diet and exercise, it is likely that she will be more energetic and playful. This means that she can interact and keep up with her family better. 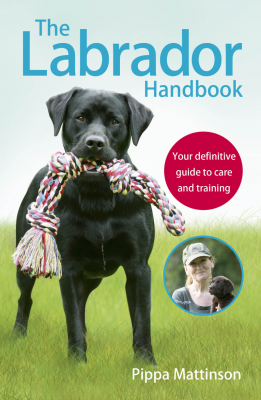 Additionally, with the loss of weight, your dog will be able to manoeuvre around the home easier and with less assistance. Because your dog will have lost weight, diseases and illnesses related to obesity will be less frequent and not as severe. To help inspire others, feel free to share your Pug’s weight loss journey below.